There are many reasons why companies use an Office Coffee Service to bring them supplies, like coffee and other related goods. Convenience - We keep inventory, so you never run out products. "One Stop Shop" allows you to save time and money by only using one vendor for multiple needs. Commercial brewers and equipment are provided at no charge. Coffee is a great way to treat your employees, while increasing production. We can provide delicious gourmet coffee, fine tea's, creamer, sugar, and much more delivered directly to your office. Orders can be placed by phone, fax, or email. Coffee - Folgers, Gaviña, Maxwell House, Starbucks, and Many More. Fine Tea's - Bigelow, Lipton, and Tazo. Creamers, Sweeteners, and Hot Cocoa. Paper Supplies like Cups, Plates, Hand Towels, and Lot's More. Refreshments - Juices, Soft Drinks, and Snacks. 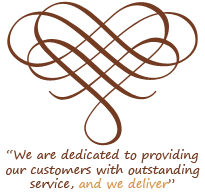 As a customer of Lone Star Coffee Service, you can expect prompt service and on-time deliveries. If you would like additional information about one of our services, please click here. We offer a variety of different options for drinking water and we can provide excellent customer service when it comes to your office water needs. Individual Bottles - Ozarka, Dasani, Nestlé, and Many More. 3 and 5 Gallon Containers of Artesian, Spring, and Distilled Water. Even water can become pretty tricky at times! The quality of water you desire can sometimes only be acheived with the perfect water filter and sometimes the difference isn't even noticeable. That's where we come in, to provide you with the right application that delivers a quality product every time. We carry commercial grade floor model and counter-top model coolers with hot water faucets. Our water coolers come equipped with an advanced no-spill sytem that punctures our bottled water without the risk of contamination or spills. Saves you trips to the nearest convenience store. Cost the company very little. Normally, just the power used by the machine. We guarantee that the machines will always be stocked with products best suited for your companies needs and they will always be fresh. We have healthy options available and if necessary strict guidelines for what is placed in the machines. No Glucose, No Sugar, No Dairy, etc. All of our equipment is in good working condition and has dollar bill and coin acceptors. Plus, we have new credit card acceptors for large customers of 100 people or more.